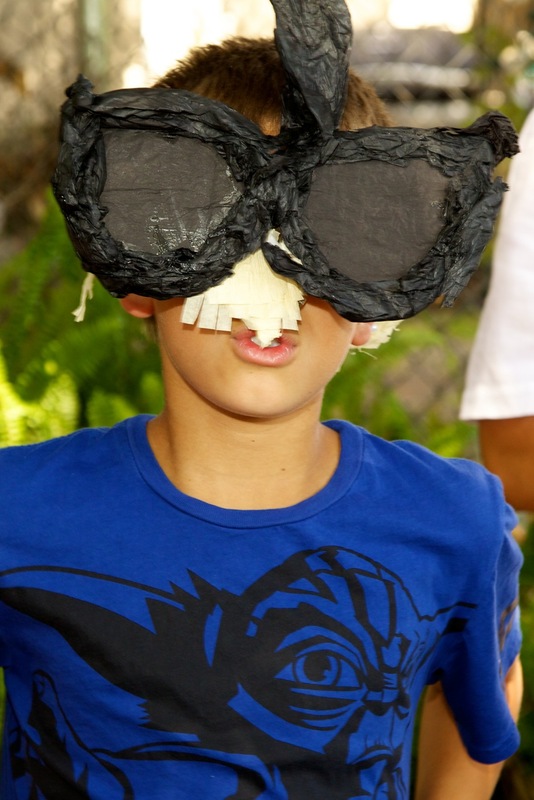 "I wonder when the kids will break the piñata?" "How do you know they have a piñata?" I replied. 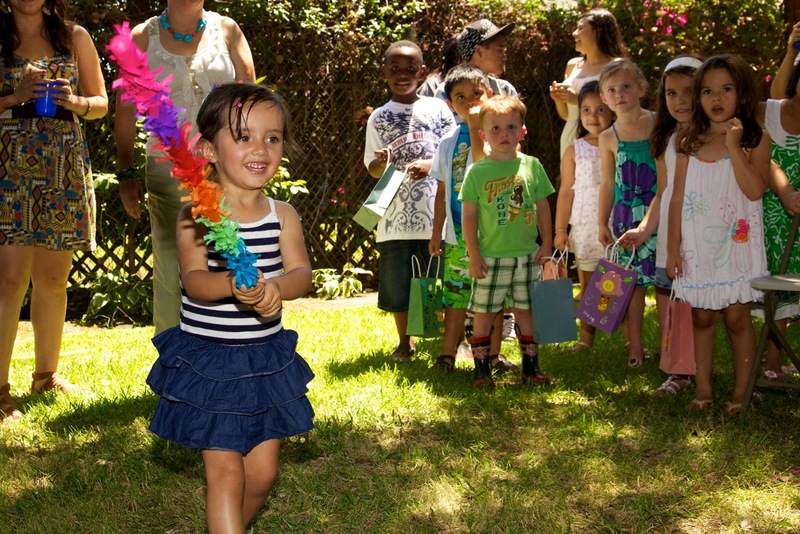 "Their Latinos... Latinos always have piñatas at birthday parties." Sure enough, they had a piñata. So, of coarse Audrey had a pinãta at her birthday. I ordered it from Whack! Piñateria, each one of their piñatas are so perfect. Jeremiah and Audrey had fun filling it with candy, small crayon boxes and small toys days before the party. The goodie bags they decorated caught all the treats and when they got ready to go home were perfect for carrying the parting gift (ice cream shaped bubbles inspired from here). 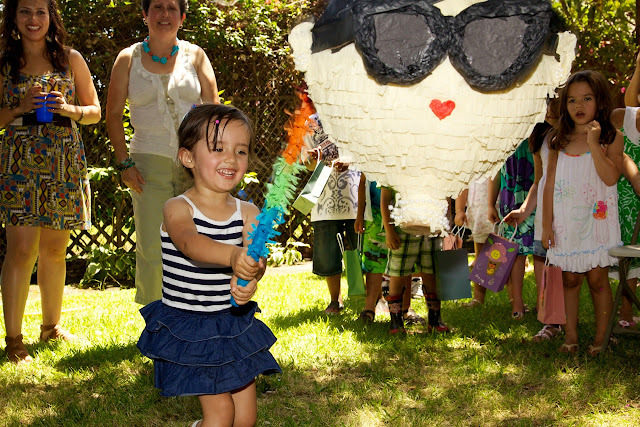 Is a piñata a must for your parties? 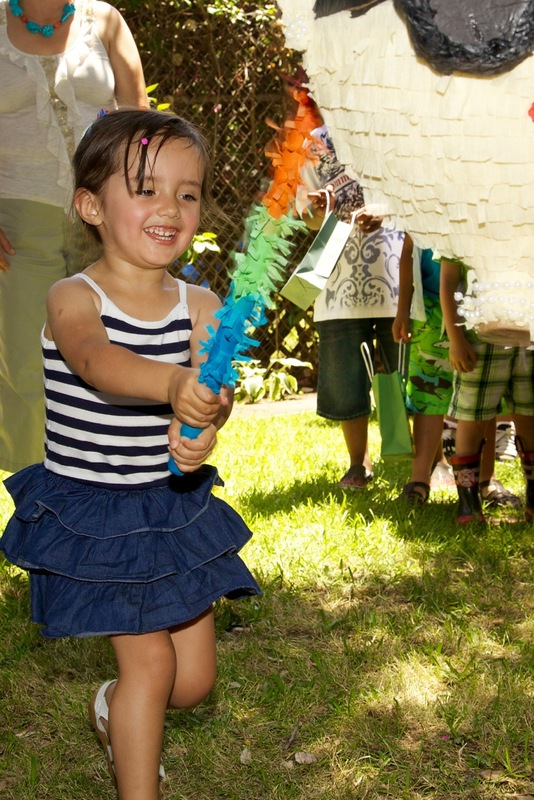 Piñatas are a must for our parties! And I LOVE that Audrey Hepburn piñata! So original and lovely! 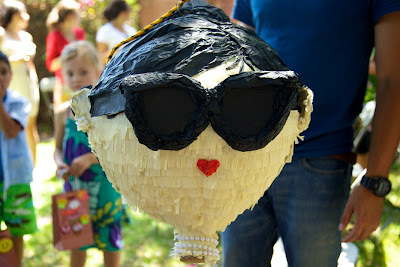 LOVE the Audrey Hepburn Piñata!! Too perfect! I've never seen an Audrey Hepburn Piñata! Love it!